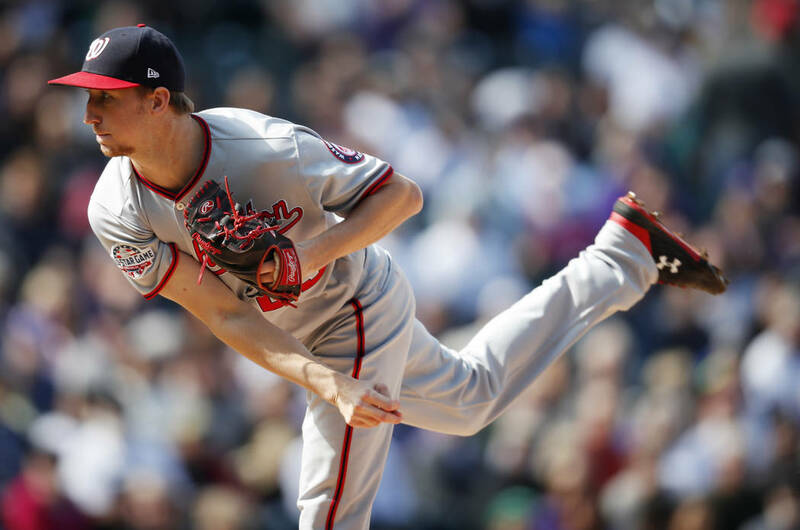 The message via social said that Erick Fedde, a former Las Vegas High and UNLV star, had pitched a no-hitter Thursday night. It wasn’t for the Washington Nationals. Or even for the Fresno Grizzlies, the Nats’ Triple-A affiliate, who are playing four games against the Aviators at beautiful Las Vegas Ballpark this weekend. And it wasn’t a nine-inning no-hitter. 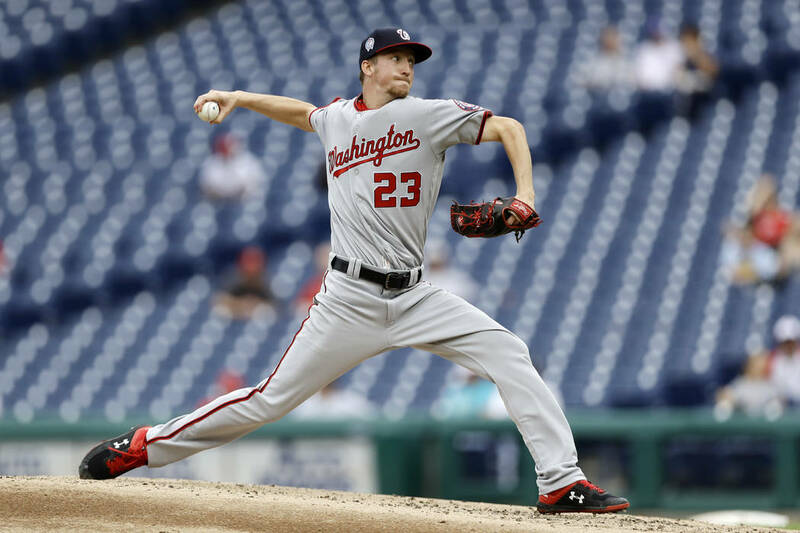 Fedde pitched the first six innings and combined with two others in recording the no-hitter for the Harrisburg Senators, the Nationals’ Double-A team, against the Bowie Baysox. Explanation: There was no room for the 2014 first-round draft choice in Washington’s rotation when the season started. Rather than ship Fedde to distant Fresno (2,793 miles from the Washington Monument), the Nats put him in Harrisburg (121 miles from the Lincoln Memorial) so he could be recalled at short notice. As for being limited to six innings and 79 pitches — 50 of which he threw for strikes — that’s just the way baseball is with pitch counts these days. 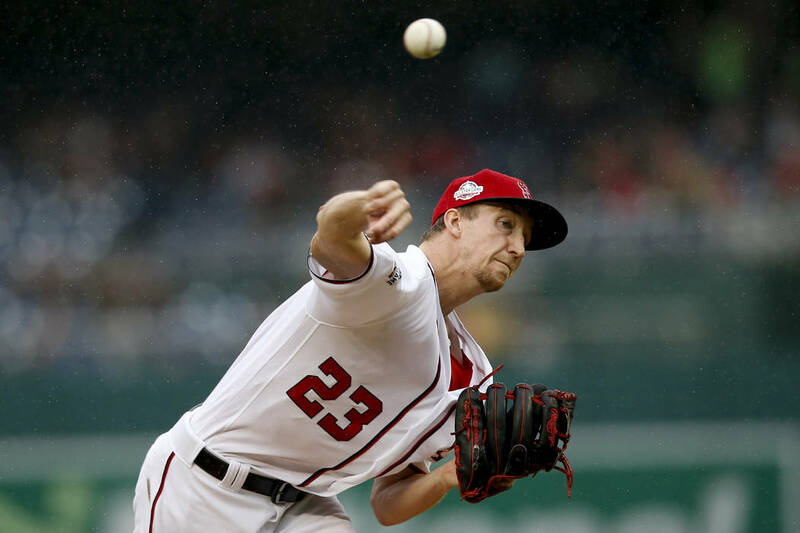 It still was an excellent outing for the 26-year-old right-hander, 2-4 with a 5.54 ERA in 11 starts for the Nats in 2018 before shoulder soreness put him on the injured list. Big ups to the Sens on the combined no-hitter tonight! 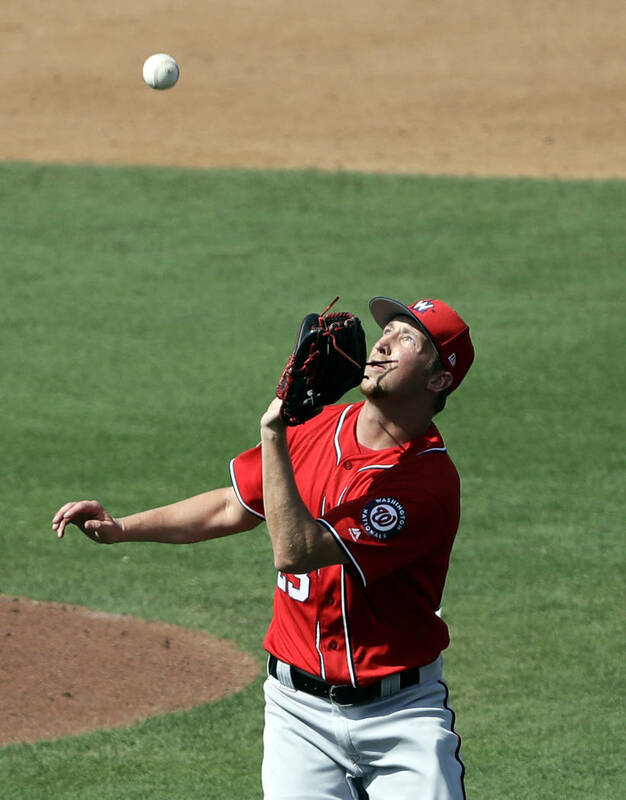 Erick Fedde. Jordan Mills. Aaron Barrett. You never know who is going to jump up and be a hero in the Stanley Cup playoffs. It might even be a guy who wound up playing minor league hockey in Las Vegas. As a 21-year-old rookie, Joyce scored eight goals and added six assists in 23 playoff games for the 1987-88 Bruins, who were swept in the final by the Edmonton Oilers. He scored 15 goals with 18 assists in 63 games for the inaugural Las Vegas Thunder of the International Hockey League a few years later. He was always quick with a friendly word, and it was good to hear his name again. Do green blazers come in girls sizes, too? Henderson’s Yana Wilson won the Drive, Chip & Putt championship in the girls age 12-13 division on the hallowed grounds of Augusta National Golf Club in the run-up to this year’s Masters. The 12-year-old Miller Middle School student walloped her drive 230.3 yards to help clinch the win. She played her way to Augusta through the Youth on Course program, which allows youngsters to play golf at participating courses for $5. Las Vegan Joey Gallo said he and longtime pal Nomar Mazara of the Texas Rangers will discontinue their intimate home run celebration after internet people made a big deal about it. This is probably the most politically correct way I can describe it: After Gallo hit his fourth homer of the season, he and Mazara did this ritual in which they appeared to check each other for groin injuries. I saw the whole thing go down. Was epic on both fronts. — Davis Hess, Baltimore, April 1 vs. Toronto, after 6 1/3 innings, 82 pitches. — Trevor Bauer, Cleveland, April 4 vs. Toronto, after 7 innings, 117 pitches. — Erick Fedde, Double-A Harrisburg, April 11 vs. Bowie, after 6 innings, 79 pitches.